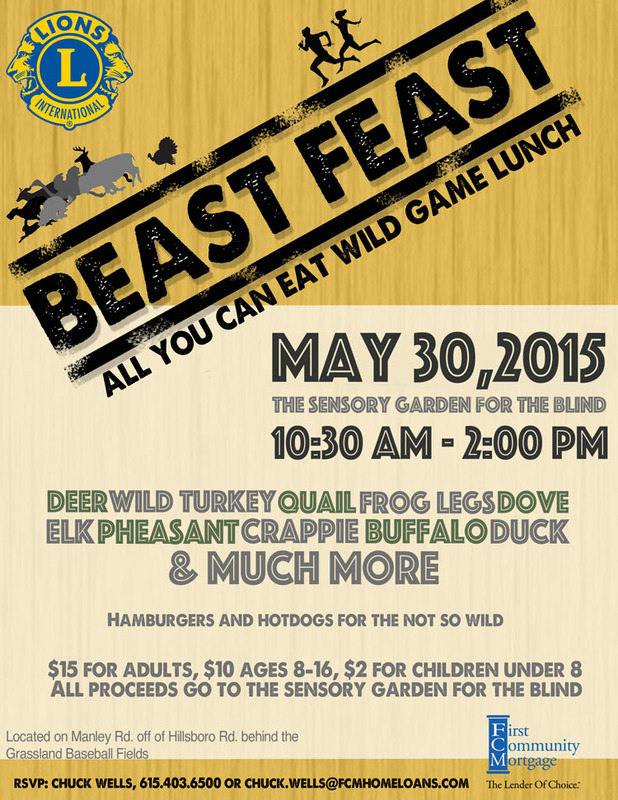 The Sensory Garden for the Blind is located at 6759 Manley Lane in Franklin, TN behind the Grassland Baseball Fields. The cooking crew at the Wild Game Feast. The serving line at the Wild Game Feast. Some of the people who came and enjoyed the Wild Game Feast. Part of our crew preparing the food for the Wild Game Feast.